Peichi “Peggy” Yen, D.O.M., A.P. Peichi “Peggy” Yen graduated from Shanghai University of Traditional Chinese Medicine with Masters degree and is a certified physician of TCM in China. In the United States, she has obtained the NCCAOM certification of DOM and Acupuncturist license of Florida. She has spent many years studying and is familiar with Oriental Medicine, Acupuncture, Tui-Na, food therapy and Herbology. 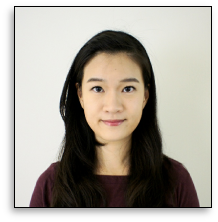 Peggy is excited furthering career life in the USA with learning knowledge of physical therapy and Dr. Wang’s technique, so she can integrate her knowledge of Oriental and Western Medicine to resolve patient’s problems.